Having trouble getting your test status? 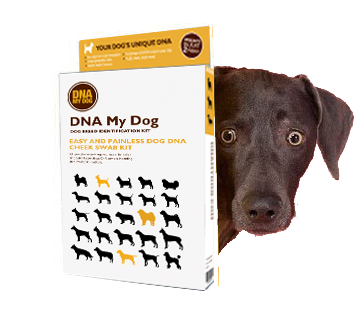 Sanka’s DNA is the cat’s meow – for dogs, too! Thetis Island residents have found a unique way to support needy dogs and cats on the Gulf Islands. On smaller southern Gulf Islands --like Thetis and neighbouring Kuper -- there are no police, passersby or pound workers to rescue or apprehend stray, unwanted, lost, injured or ill dogs. Cats sometimes get left by passing boaters or are lost by summer visitors – creating a swell of feral felines leading sad lives. Thetis/Kuper Friends of Furries has taken in some 60 distressed cats and dogs for sterilization, vaccination, worming, tattooing and treatment of illness and injury in the past year. Adoptions were made through the SPCA in Duncan, Nanaimo and Victoria and in only three instances an animal had to be destroyed. Friends of Furries received a $500 grant from Cowichan Valley Regional District while Kuper veterinary costs are covered by Big Heart Animal Rescue of BC. Both benefit from services available through the existing structure of the SPCA. Marauding canines crossing a cut walkable at low tide that separates both islands take a heavy toll on wildlife, pets and livestock -- slaughtered by feral castoffs desperate effort to survive their own chronic suffering. Cost for treatment of Thetis animals, with a charitable rate courtesy of Chemainus Animal Hospital, is borne by volunteer donations – this past year through the Get To The Point walk on Thetis, a Furabian Nights fundraiser with Mideastern food, silent auction and belly dancers at Thetis Island Community Centre, and donations from individuals and groups including Thetis Island Volunteer Fire Department. The good news is that deer that vanished years ago on Kuper are returning again. On Thetis, residents have been free of stray dogs that at one time intimidated children and walkers and took their toll on chickens, goats and family cats. The bad news is that we are all having to tighten our purse strings and come spring, Thetis and Kuper – offshore without direct support of established agencies found even on rural Vancouver Island – will experience a new wave of puppies and kittens needing care and requiring spaying, neutering, vaccination and sometimes placement. To this end, Thetis residents Doug Darling and Teresa Moore have launched “DNA My Dog Sanka,” a novel campaign to bring in individual $5 donations to Friends of Furries through a community guessing game that can be extended to anyone within “e-shot” over the Internet. At the centre is Sanka, a cross-bred canine of indeterminate origin the couple adopted through the SPCA in Victoria in July 2008 (See current photos above). The Fraser Point Road residents thought it might be fun to turn their curiosity into a little contest among their friends to raise money for Friends of Furries – which is has taken their idea and run with it using the Internet. Teresa and Doug took two swabs of DNA from inside Sanka’s mouth and sent them to the Ontario laboratory. The lab will analyze the samples and compare her DNA to 92 different breeds, which the DNA-processing company says represent 97 per cent of dogs found in North America. Anyone can participate in the guessing game – donation or not. Send your list of up to five breeds you think may be in Sanka in descending order to Friends.of.Furries@telus.net. Of those who choose to pledge $5 in support of Friends of Furries, the donor coming closest to the laboratory’s results will receive half the proceeds for their skill – the remainder going to the volunteer animal welfare group’s work. “Remember, there may be five breeds listed, or there may be two,” says Teresa, who reminds that the deadline is Saturday, November 7, 2009. Donor pledge payments may be sent to Friends of Furries, Community Partners Account No. 100018655207, Coastal Community Credit Union, 9781 Willow Street, P.O. Box 299, Chemainus, BC V0R 1K0; using snail mail to Friends of Furries c/o the address below; or online via Interac e-mail money transfer to Friends.of.Furries@telus.net. The winner will be announced November 30 when the dust settles, along with a recap of close and not-so-close guesses to be e-mailed to participants. Unique personality traits of your dog. A report on dominant breeds, personality traits and health concerns. Tel: 416-691-4160 Fax: 905-763-6397 Join our Facebook Group.